Another successful CES is in the books! 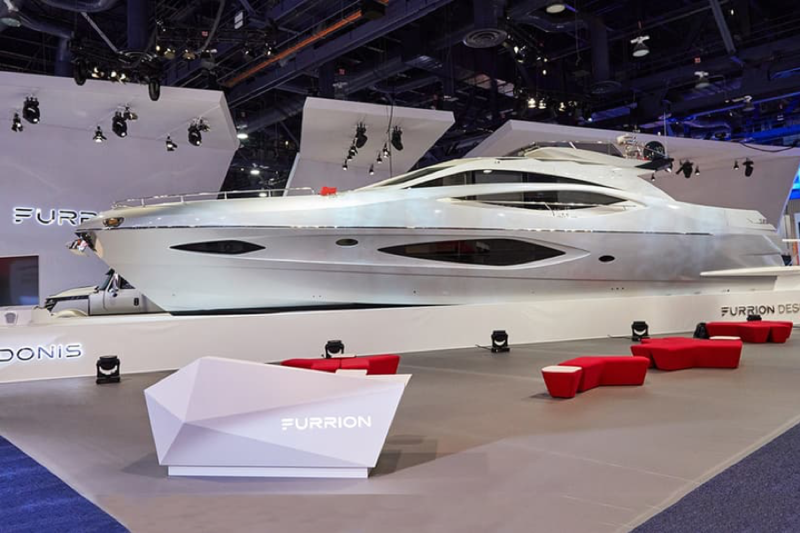 That’s 2.9 million square feet, 190,000 industry attendees, more than 6,500 media, 4,500 exhibiting companies, representation from 155 countries, 11 Vegas venues, two very tired feet, and one 78 foot smart luxury yacht. I had the pleasure of representing the UPRAISE team at CES this year. To say I was blown away by the amount of creativity and innovation displayed at each booth. A massive playground filled with every gizmo and gadget imaginable – basically any kid’s dream come true. Some big trends this year included robots, autonomous vehicles, 8K TVs and virtual reality. You name it, you bet you can find it at CES. UPRAISE took two clients to CES this year, Trifo and Ainstein, both of which had very successful shows! 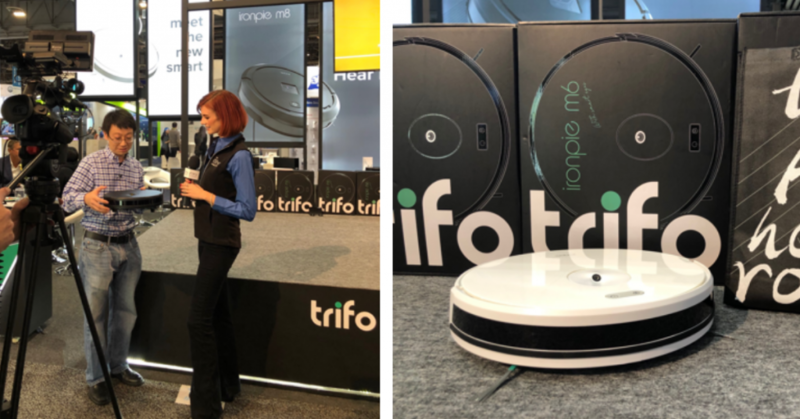 Trifo is an artificial intelligence (AI) home robot company that announced their inaugural product at CES this year, Ironpie. Ironpie represents a new generation of home robots. It’s a smart robot vacuum that cleans faster and protects furniture better. It is controllable from anywhere and has a host of features that improve on the original home vacuum concept. Ironpie participated in non-stop demos and interviews with media on the show floor as well as at ShowStoppers, a media-only event – resulting in more than 30 articles! 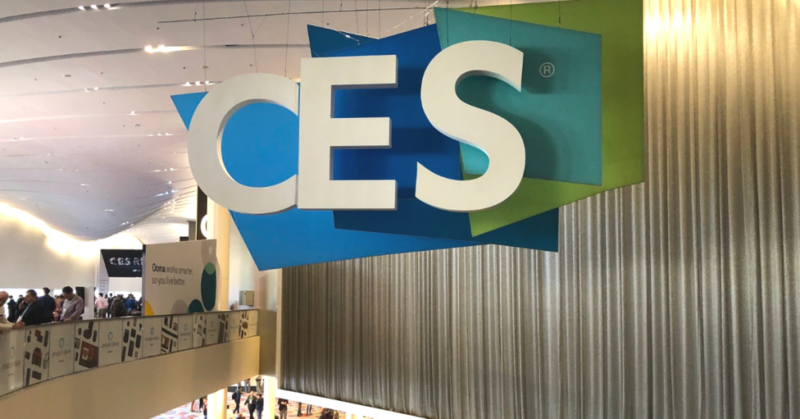 Despite the name, not all companies exhibiting at CES offer consumer products. 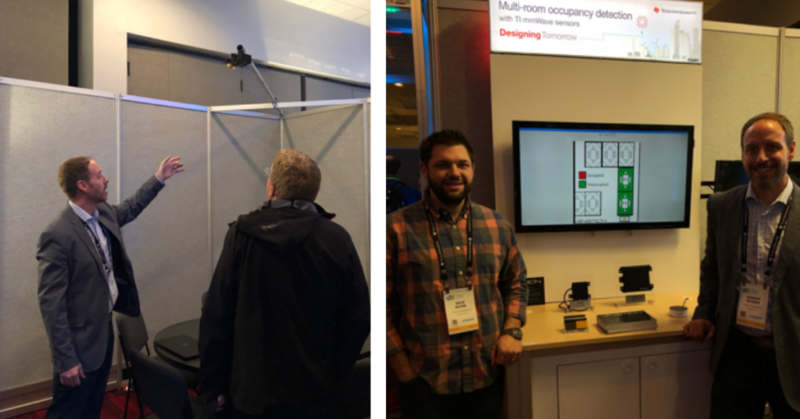 Ainstein, a leader in intelligent mmWave radar systems, used CES as an opportunity to demo its new building automation capabilities. They did this by automating meeting room utilization for Texas Instruments (TI) during the show. Smart radar sensors in TI’s CES meeting rooms were integrated with Amazon’s Alexa to inform TI meeting staff whether a room is occupied, how many people are in a room, and where in the room they are located. When deployed in any building, an organization’s staff can better manage workspace and meeting room utilization. The ability to monitor everything from a reception desk, central command station, or via employee calendars and communication networks dramatically improves efficiency, without the privacy concerns that come with cameras. The demo was so impressive, Fox Business named Ainstein as a top ten business tech at CES 2019. This was along with companies like Verizon, Qualcomm, LG, Samsung, and Honda. That is some pretty good company! Have you ever wished you could hide your TV when it is not in use? LG has made that dream come true! They have figured out a way for the flexible OLED screen material to roll into a compact tube, just like a window shade or a poster, to disappear from view. Turned off, the TV is just a piece of furniture similar to a modern sideboard or credenza. Power the TV on, the door slides back and the screen rises out of the box, unrolling and achieving its full height in a few seconds. Presto, TV! 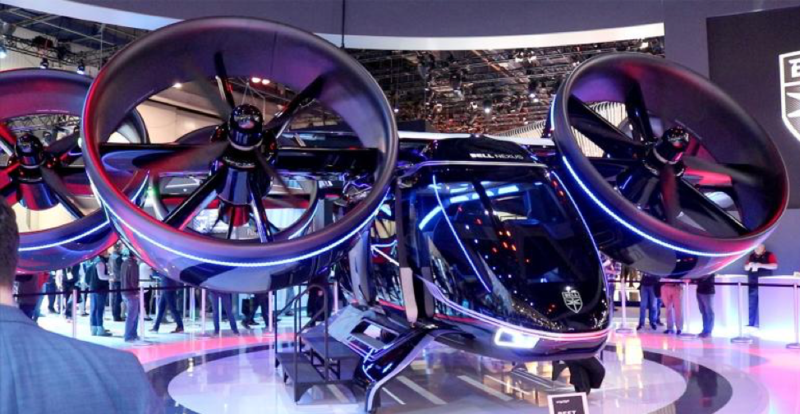 While there a lot of innovation regarding self-driving cars at CES 2019, Bell took to the air with a self-flying vertical-takeoff-and-landing (VTOL) air taxi, the Bell Nexus. Straight out of a sci-fi movie, the autonomous air taxi could be the future of commuting. Especially in my hometown of San Francisco, there is not a person who wouldn’t relish the opportunity to soar above the traffic of the city. Not even a consumer electronic, the Impossible Burger 2.0 was awarded Engadget’s Most Surprising Product of CES this year. Back in 2016, the original Impossible Burger debuted as a plant-based substitute to burgers that looks, tastes and even “bleeds” like the real thing. 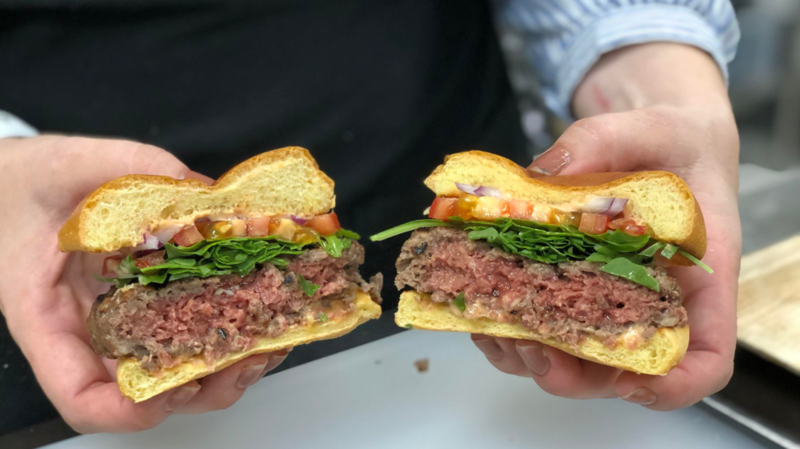 This year Impossible Foods showed off the new burger that is now completely gluten-free. Made with soy protein instead of wheat protein, it gives it a “meaty chew and versatile texture” that’ll make it ideal not just as a burger, but also as the main ingredient in any ground meat dish. Until next year CES! If you are a company heading to CES next year (or any other industry tradeshows this year) and would like to discuss how to get noticed and maximize your presence, please email us at info@upraisepr.com. Let us help you get on stage, earn impactful media coverage and rise above the noise.